As luxury auto sales hit record numbers during the first quarter of 2013, the sales race between Mercedes-Benz, BMW and Lexus is heating up. Dealerships are looking for new ways to differentiate themselves and offer their customers something new and innovative. Mercedes-Benz Sprinter van sales are brisk across the U.S. Mercedes-Benz trucks and commercial vehicles are the norm in Europe. Sears Imports Mercedes-Benz in Minnetonka, a family owned car dealership for more than 40 years, continues to innovate with their announcement of a business expansion in to the lucrative Mercedes-Benz commercial vehicles market, specifically, the funeral coach market, hearses based on the Mercedes-Benz E class. It’s this type of innovation that has kept Sears Imported Autos in Minnetonka, MN at the forefront of Mercedes-Benz sales and customer service over the years. To say Sears a full service dealership is an understatement, they take care of their customer’s vehicle needs throughout their lives, and now, beyond. “Sears is a unique company in that we’re willing to take calculated risks to enter a new market if we think it can work” says Mike Roeder, General Sales Manager at Sears Imported Autos about their foray into the funeral coach market. 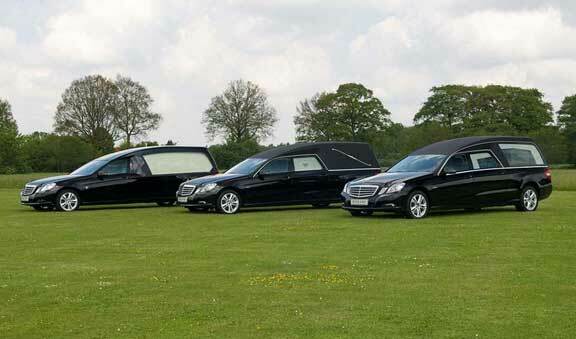 It’s true, Europeans have been taking their ‘last rides’ in Mercedes-Benz hearses for more than 50 years. Sears Imports believes their clients who drove Mercedes-Benz vehicles throughout their lives, will appreciate taking their ‘last ride’ with dignity in a Mercedes-Benz. For more information on these new Mercedes-Benz hearses, please feel free to contact me directly… Dave Tobin, 952-512-6685, you only go around once, right?